Werner Herzog is a very interesting figure with whom the typical film enthusiast may not be familiar. However, if you believe that all films are run-of-the-mill, and that documentaries cannot compare to narrative fiction films, allow Herzog to demonstrate the opposite. With these titles you can become familiar with him and if you enjoy them can move on to his more challenging, esoteric works. This tale is the perfect introduction to Werner Herzog, as it is the simplest and most transparent of his tales. It is also the perfect segue from his narrative work to his documentaries because it concerns a true story. It tells the tale of a mysterious foundling, Hauser, who appears as if from nowhere on the streets of Nuremberg in 1828. He can hardly speak, walk or write. 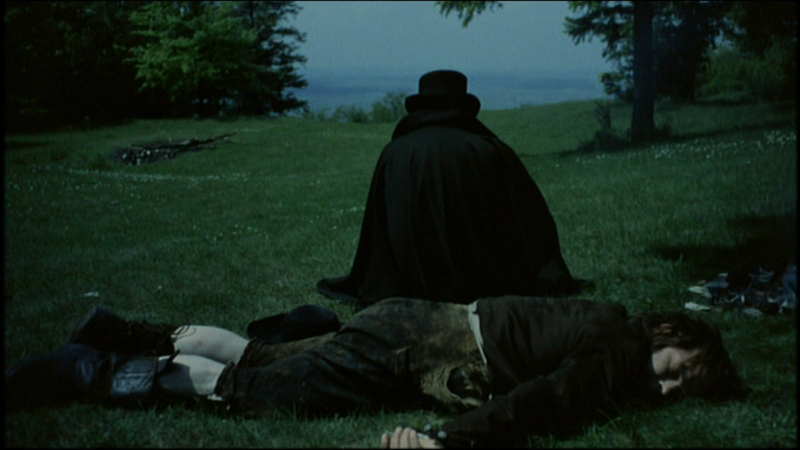 Rather than interviewing historians and having them dispute the facts and various uncertainties regarding this strange and unusual case, Herzog presents us with a fictionalized depiction of this man’s life, mostly due to the fact that both its beginning and end are shrouded in mystery. The mysteries of Hauser’s life are echoed throughout with a brilliant use of fragmental imagery and stories. One story Hauser only knows the beginning of, another being a shot of what looks like the hills in the distance as a Mysterious Caped Man freed him, this image is inconsistent and flickering seeming to indicate his spotty memory of his past, lastly in a near-death experience we see an awe-inspiring image of people climbing a pebbly crag in a heavy fog where at the top, remaining unseen, Kaspar says he sees Death. Foreshadowing his demise but as in reality we remain uncertain of the culprit’s identity. The cinematography in this film is always simple in its framing and even in its lighting except where it needs to be fantastical, keeping a very true-to-life feel no dramatic contrast, or shafts of light to detract from the reality of the tale being told. Some takes are also quite long so that we see how the simplest task is labored for Kaspar when he is in his cellar. Lastly, this movie will really keep you hooked due to the incredibly layered performance of Bruno S., which is absolutely spellbinding. He creates a wonderfully intriguing and surprisingly complex character which belies his seeming simplicity. The next logical step in the progression from narrative film to documentary would be Lessons of Darkness. 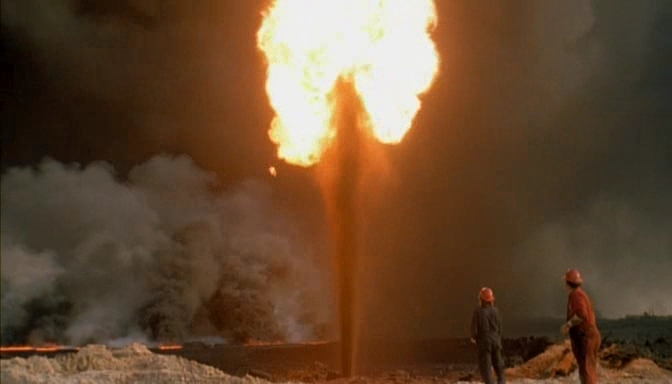 What is amazing about this film, in part, is the cinematography with long tacking helicopter shots of oil fires and the destruction which Kuwait was left in following the Gulf War. However, starting with a quote from the Book of Revelation, a common theme in Herzog’s docs, Lessons of Darkness is much more an allegorical statement about the destructiveness of war in general than a commentary on the Gulf War itself. In fact, it is never identified as Kuwait in the narration of the film and no soldier discussed is ever identified as American. Herzog rendering the chaos more anonymous makes it then much more profound. For about an hour we travel across the countryside amidst oil lakes, fires and smoke and watch as the destruction remains, increases and regenerates. There is little if any narration at all in this film because the images and the title cards say it all, as does the title of the film itself. This is a land that has been demolished and left in squalor and a cloud of smoke and it needn’t be identified because it could be anywhere next, due to these factors Lessons of Darkness toes the line between documentary and narrative film and it is also the rare documentary that increases the scope of the subject it is covering rather than decreasing it. The progression should continue with this step because it also concerns war but in a much more concrete and traditionally documentarian fashion. This film tells the tale of Dieter Dengler, who grew up in Germany after World War II. The theme of a country decimated (in more ways than one) by war returns. As a child he has a dream to fly but has no means to do so in his homeland. He decides to immigrate to the US and become a citizen and join the Air Force. He goes off to Vietnam where he ends up a POW. At this point in the tale is where Herzog’s talents really come into play. He does use some stills but he decides to re-enact certain events in Vietnam with Dengler, many years later, and with local volunteers making the experience much more immediate to all involved, the audience, Dengler and the Vietnamese. 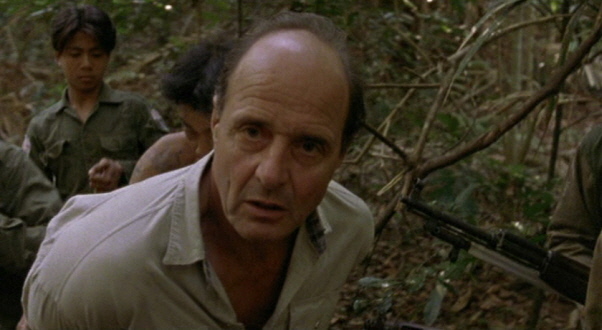 Certain parts of the jungle are crucial to his escape are also revisited with several incredible tales such as the retrieval of his wedding ring, loss of his comrade, spotting of a bear and being alone facing death. Anyone who ever heard of Timothy Treadwell during his lifetime and dismissed him as crazy should watch this film. Here Herzog tells the tale of a man many simply called ‘The Grizzly Man’ due to the fact that he’d sojourn to Kodiak Island, Alaska every summer to live amongst the Grizzly Bears and ultimately met his demise there. Every decision a person makes especially one of this magnitude, involving this much risk, is made for a reason. In this tale the reasons unravel themselves. An intimate and complex portrait of a gentle tortured soul is painted beautifully by masterful filmmaker. The range of emotions you feel watching this film run the gamut and they hit you hard and in succession. You’ll be astounded by the purity of his intent, think him crazy for something he did, feel nostalgic sadness hearing his parents speak, laugh because of something he said, be on the verge of tears feeling his friends loss and be remorseful that things didn’t go differently. Grizzly Man is a complete cinematic experience in every sense and the fact that the film is a documentary is irrelevant. The structure and pacing of events gives you chills at times. 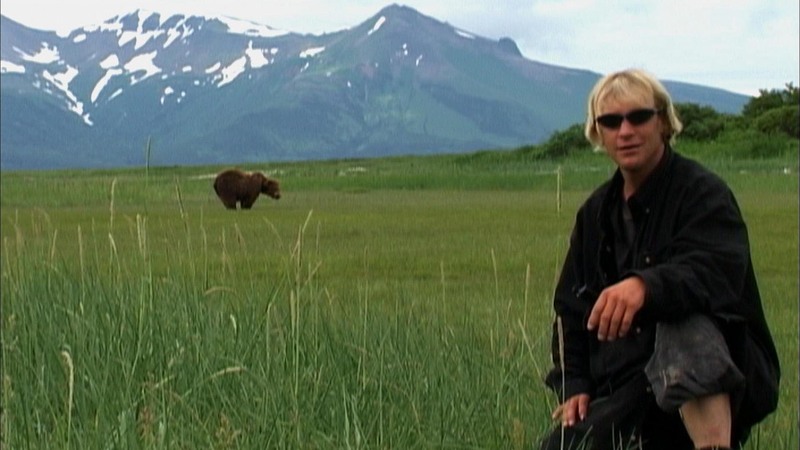 Grizzly Man just might be the best documentary I’ve seen in my limited experience, (barring my having seen Encounters at the End of the World because the idea of meeting those who work in Antarctica has always fascinated me) in part because of some things a documentary professor would dislike. Herzog remains the eminent auteur putting his stamp and occasionally his opinion in the film, which is technically verboten but I didn’t mind – it’s human, it’s being an artist. It was a film as seemingly simple but utterly complex as the man himself and to paraphrase Herzog as any man’s human struggle. Treadwell’s footage couldn’t have found better, more caring hands. So now that you have a road map showing you how to go from Narrative to documentary by the great Herzog you can find all of these films on Netflix.